My body is so hardwired with the experience of living in India that it reacts automatically when I am reminded of the stress and violence of life there, as I was while watching the recent film, Slumdog Millionaire. In one scene, for example, a child from a so-called orphanage is anesthetised and then blinded in order to transform him into a beggar. Had I been watching at home instead of in the theatre, I would certainly have fidgeted, or made myself a coffee, or found something else to do, anything to pause, to delay, to avoid. So often, in India, there is not much else one can do. The body reacts to helplessness. Slumdog Millionaire, which was awarded four Golden Globes (including Best drama) by the Hollywood Foreign Press Association on January 11, depicts the culture of the Mumbai slums, where about 40%-50% of the city lives. The story is centred on a tea-server, Jamal, who attempts to win 20 million rupees in the Indian version of "Who wants to be a millionaire?" His real aspiration in participating in the program, however, is the possibility that by appearing on television, he might be located by his long-lost love, Latika, who earlier in the film, when they were both still in the orphanage, was sent out to be a prostitute. Is Jamal destined to be a millionaire? Is he destined to be reunited with his true love? Can Latika be rescued from her sordid life? Alas, a film has to supply the ingredients to satisfy the audience's need for a pleasurable experience. If it's an Indian film, that invariably means music and dancing. This film shows the tea-server, Jamal, as a complete and utter gentleman, and Latika, the prostitute, as a perfect lady. Viewers also must leave the theatre with hope and positivity, and this is what this film provided. If I had to split hairs and find a flaw, it is that this film must coat its harsh reality with sugar to help the medicine to go down. I used to have a maid in Delhi, an extremely beautiful 30-year-old woman. She had, I recall, around six or seven kids. The youngest was the only son. I remember advising her to send her children to school. Once, she did not show up for two weeks, and when I finally saw her again, one side of her face was blue and so swollen that she could not open her eye. She told me her husband had beaten her because he had suspected her of having a relationship with another man. She then told me that when she was only 14 years old, she had been abducted by her "husband" and kept in confinement for many years after, which is when she bore most of her children. 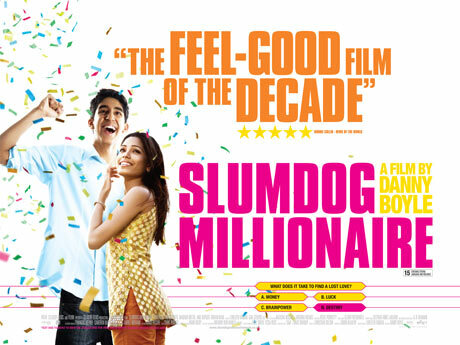 "Watching Slumdog Millionaire, I couldn't but be reminded of the cheapness and utter emptiness of the Indian middle-class's hysterical reaction to the recent events in Mumbai. Why should India suddenly be so worried about terrorism when violence is so closely woven into the very fabric of society?" Quite stupidly, I tried to convince her that she should leave him and also report him to the police, knowing full well that the police would do nothing. And even if she left her husband, she would still be in an environment where she would be exploited. But at any rate, she did seem eager to send her daughters to school. I thought I was just being a bleeding heart, unable to feel good about the positive changes I was making in the lives of others. A few months later, however, I learned that she had sent her teenage daughter away with a man she did not know! I don't want to guess at what happened, but I couldn't believe the risk my maid had taken with her daughter's wellbeing. Shouldn't she have known better? Couldn't she be more enlightened? The thing is, she knew what she was doing, but she carried a virus in her mind, the mindset that made it possible for someone else to subjugate her in the first place. Victims so often have the same mindset as their aggressors. When the time came, my maid did the same thing to her daughter that had been done to her. I have seen this dozens of times in India. It is virtually impossible for people coming out of a certain section of the society to emerge whole and sane. These people make so many compromises in their lives just in order to survive that they no longer know the difference between right and wrong. In a way, they have to switch off their humanity to be able to carry on living. In real life, I would expect Latika and Jamal to be as corrupt as anyone else in the film. Watching Slumdog Millionaire, I couldn't but be reminded of the cheapness and utter emptiness of the Indian middle-class's hysterical reaction to the recent events in Mumbai. Why should India suddenly be so worried about terrorism when violence is so closely woven into the very fabric of society? This film does a better job than any sophisticated treatise of explaining why people in some societies are poor, wretched and miserable: because of the way they think and conduct themselves. All told, Slumdog Millionaire is an extraordinarily honest film about slum-life in Mumbai. It is a must watch, if with a critical eye, but that hardly makes it different from anything else in life, does it?